Save some money, buy 4 and get the 5th one free! Makes a great gift for your friends, family and Co-workers. This effective rfid shield works well because of its closeness to your RF cards. 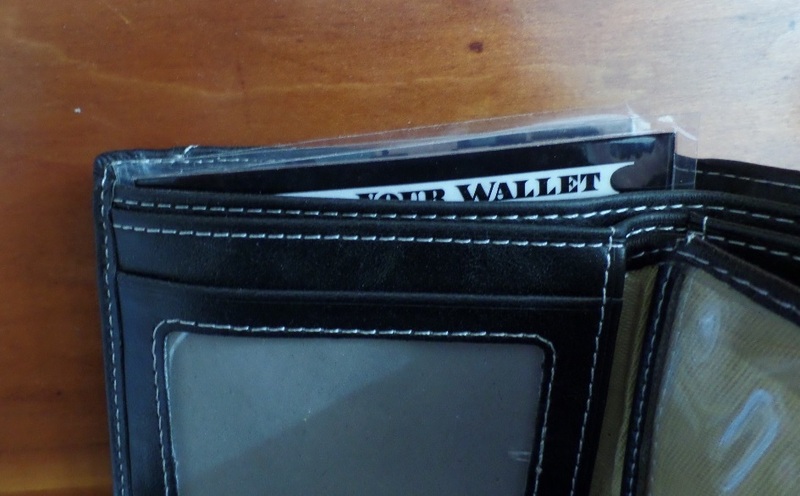 This item is 3 3/4″ wide by 2 1/2 ” when folded in half around several of your cards and fits easily into most wallets, clutches or purses. Premium 5 pack for rfid card protection. 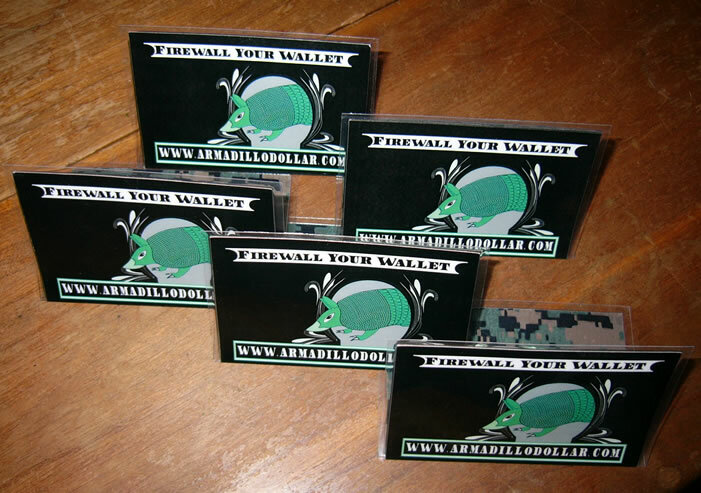 Slip this into your wallet after wrapping your rfid cards with this premium rfid American made shield. 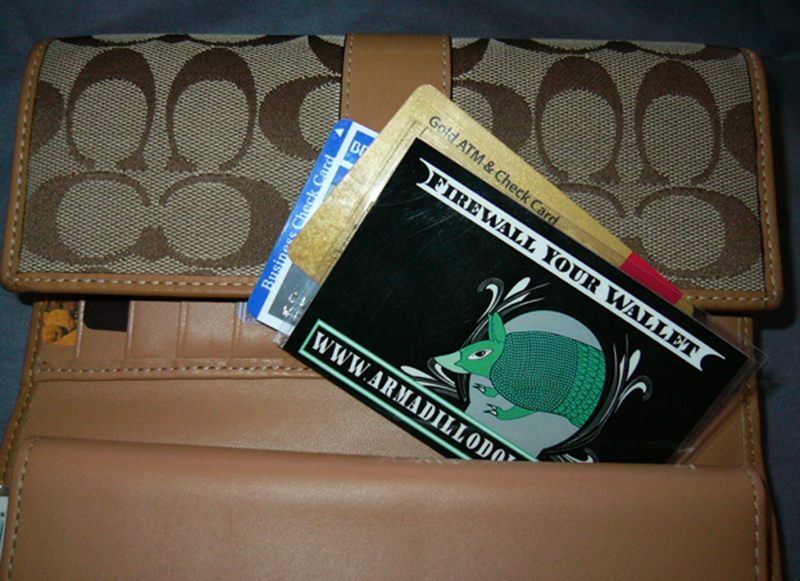 This rfid shield protects door access cards, employee badges from tracking, credit & debit card wireless theft, and more.